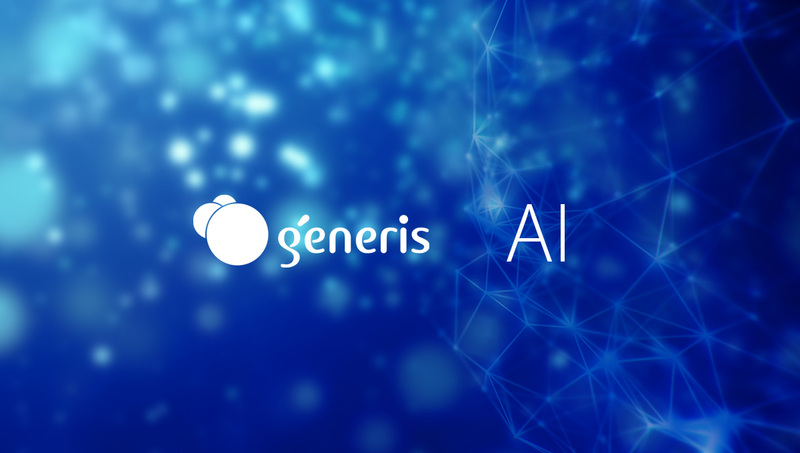 Join the AI journey in Content and Information Management – Generis: CARA – The fastest, most feature-rich, scaleable, configurable user interface and business rules engine for Documentum, Oracle WebCenter and Alfresco. Artificial Intelligence (AI) is not new, it has been around since the 1950s. However, it is only now with the increased processing power and immense amount of data created by the digital revolution, that we are starting to see its true power. This allows us to take advantage of one the most advanced areas of artificial intelligence – deep learning. Deep learning is a type of algorithm inspired by the human brain that essentially mimics the way the human brain works. These algorithms involve using large, complex neural networks that provide a deep analysis of data. This new-found power is changing the way every industry operates – if you doubt this, then the chances are it’s there and you just don’t know it’s there. At a recent conference I attended, a live poll showed that near 30% of the room did not think they had any interaction with AI on a daily basis in the workplace. But the reality is that very soon, even an interaction with Microsoft Outlook or Word means an interaction with AI. The other misnomer is that businesses have ‘tried AI, but it didn’t work for us’. This is understandable – far too many companies have been going around for the past 5 years flogging supposedly ‘revolutionary AI’ that actually amounts to no more than a slightly clever search. The reality is that AI is not one solution or tool that can only be used for searching, relating, and occasional magic; it’s a highly effective method of enhancing business processes, if used correctly and appropriately. In fact, AI will have a bigger impact on our world than the internet did, and it will change every part of our lives. AI is developing at such a rate that the companies who do not embrace it will likely struggle to compete in the future. I’ve had discussions with businesses that have had to simply admit defeat in the face of categorising various forms of old data or records, but this problem isn’t going to disappear. We have to use technologies that can do the heavy lifting for us – after all, we cannot and should not compete with a system that can analyse thousands of documents a second, without ever needing a break. The content and information management industry is no exception to this rule, and we have no choice but to adopt artificial intelligence. As the digital revolution continues, and the data generated by companies will be too large for humans to go through, we need tools that use artificial intelligence to analyse, classify, and understand this data. At Generis we have responded to this opportunity by creating a series of AI applications that will be deployed in our main product – CARA. These AI applications can be divided into three different areas: (1) Automatic Correspondence, (2) Classification of Data and (3) System Assistant. Our customers have asked for a system that can help combat the time and resources spent dealing with regulatory correspondence. Our solution to this problem was to use AI to automate most of the receipt and response process – by learning from previous responses, clustering information, and automatically generating content, we found we could convert response times from hours or days to minutes. We know that the amount of data being generated by our businesses has become so great that it physically cannot be analysed by human-beings anymore. In response to this challenge we chose to develop algorithms that can automatically classify both structured and unstructured data in CARA. For the user it is as simple as importing the document into the system, but behind the scenes these algorithms will be performing a deep analysis of every word, and then suggesting the appropriate classification and metadata. We then learn from this classification and can help the user avoid error in the future. We are also introducing an assistant that helps users take advantage of all the functionality in CARA. This could be as simple as relying on a chatbot to find documents and create tasks intuitively, or it could it be as complex as actually helping the user to write content. This system uses the latest advancements in Natural Language Processing (NLP) and Deep Learning to understand what the users want and respond appropriately. We are driving an incredible period of innovation in content and information management, and we’re proud to have some of the world’s largest and most progressive companies with us on this journey. We will continue to focus on developing tangible features that drastically improve user experience and business process efficiency, with the goal of developing a range of 20 game-changing AI innovations by 2020. Join the AI journey in Content and Information Management.